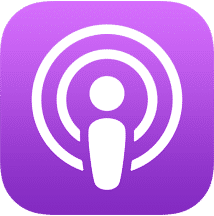 Podcasts are typically a series of audio broadcasts. iTunes is probably one of the best outlets for podcasts and a great way for creators to get massive distribution. iTunes is pretty similar to the app store in terms of reviews. They are publicly displayed and there's no way for podcasters to reply to users at the moment.